We had ten cats in 2016. 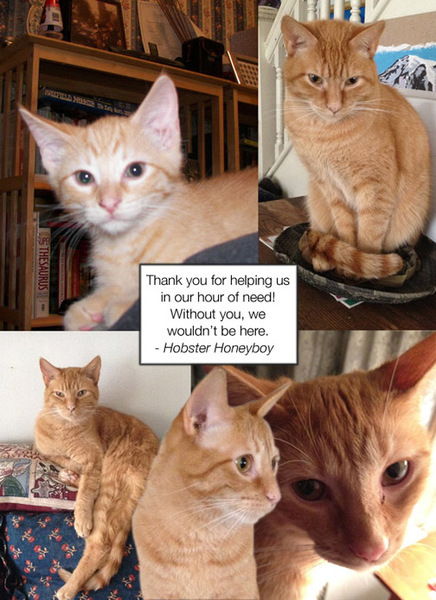 We lost HOBSTER, 5 1/2 years old, in October of 2017 to renal (kidney) disease. We fought hard for him for many months. 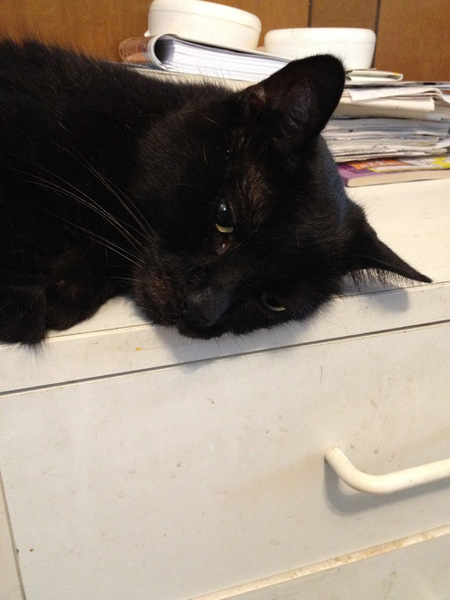 We lost our senior cat, SATCHEL, who was our last cat who moved here to Ohio from California back in late 2005, in April of 2016. He would have been 16 on Labor Day that year. In August of this year we lost DOOBIE to cancer. 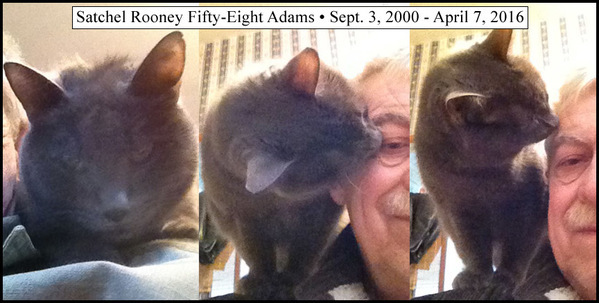 He had become our senior cat. We fought his tumor (chest) for about eight months but lost a noble fight. He was just eleven years old. We picked up a very young (4 weeks) male fluffball in early July of 2016. We named the butterball BEAUREGARD. 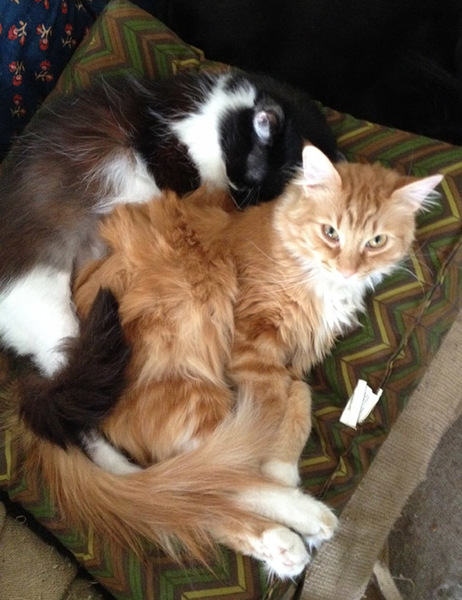 Our little 2-year-old calico BABY PRINCESS MARMALADE immediately took on the role of surrogate Mommy and nursed him. Uncle QUINCY became his surrogate daddy and taught him how to play, poop-in-a-box and nap. We are now at eight kitties. There may be a newby in the Homie Haus soon, though. Look at those babies. I’m sorry for all the losses but I’m glad you had each other when you did. 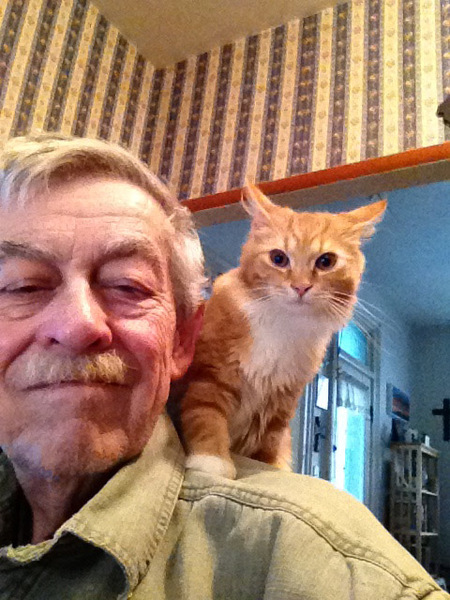 That's Beauregard on your shoulder? I wonder how the guys get their middle and last names.